'IQ+EQ+WQ' WQforKids is committed to improve the Wellbeing (WQ) of our Children. For our first initiative, we would like to raise money to support Amanda van der Tuuk from the Buitenhoeve school in developing an educational WQ curriculum that can be leveraged by all Primary Schools in the Netherlands - the WQ-toolkit. At Primary school in the Netherlands limited attention is paid to wellbeing of the children. How do we expect children to learn how to take care of themselves if we don’t teach them? Why do we teach them to be competitive but ask them to collaborate when joining the workforce? Why do we encourage them to learn things that will be taken over by computers and hardly spend time on being creative. For that reason, it is up to us to make sure a shift is made. 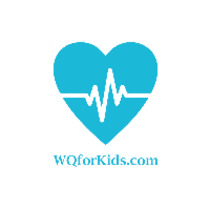 Therefore, WQforKids was founded with the aim to improve the Wellbeing (WQ) of our children. For our first initiative, we would like to raise money to support Amanda van der Tuuk from the Buitenhoeve school in the Netherlands (click here for more information) in developing an educational WQ curriculum that can be leveraged by all Primary Schools in the Netherlands. Amanda van der Tuuk (developer of the Educational Curriculum): "We would like to develop a WQ toolkit with the focus on a creative and playful, body-oriented program for children between four and twelve years old. This program will improve our Children's wellbeing, stimulate body awareness, self-awareness and self-esteem for a strong healthy basis in life." The WQ toolkit should help professionals/teachers in creating a learning environment for the children. It will allow them to give concrete form to activities around the blocks Eat, Move, Sleep & Relax in and around the classroom. By deeply embedding the WQ curriculum at children's center De Buitenhoeve in Eesveen, this can be used as good practice and can guide other professionals. 100% of the funding will benefit our children, while the WQ toolkit will leave a tangible impact on the educational system in the Netherlands. Furthermore, the toolkit will comprise of the 4 building blocks of our WQ journey and this initiative does have the overall societal impact we are looking for. With the WQ toolkit we aim to prevent the relapse of young adults who just start their careers. It’s a fact that more and more young adults struggle with finding a balance between work life and private life, which may result in a burn-out. Research has shown that at least 63 percent of a group of 1816 young people aged between 18 and 34 have already visited a psychologist for burn-out complaints. The combination of stress, a high workload, poor health and not being aware of their vitality results in these complaints. The biggest complaint is that our children are prepared to perform, but not to be creative. It makes our school system unhealthy, according to Erwin Wagenhofer. With our WQ toolkit we stimulate the creativity of our children and increase their resistance to cope with all challenges in life.